You've got a great website. No one is aware of it yet! Whether you are running a small affiliate site, are a web start up, or are the CEO of a big high street brand, I can work with you to improve your search rankings and get the visitors flooding in. I’ve been building websites and ranking them for over 20 years. In fact I launched my first site before google was even a thing. My SEO and link building philosophy is 100% white hat and I have never had a site hit by a google update. Ever. Although, I have helped lots of businesses recover from them. I also ran my own ecommerce and physical retail businesses, going from start up to multi-million turnover and 25 employees in a period of 3 years. 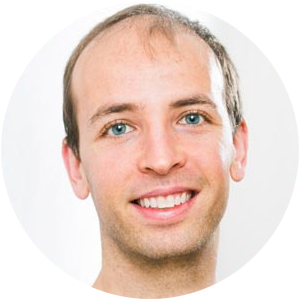 David has mastered the #1 skill that most of today’s SEO “experts” lack: email outreach. His approach to outreach is friendly, authentic (and most importantly), effective. How much do I charge for SEO work? The answer is, it depends what you want! I can cover everything from a basic on-site SEO audit, to strategising and rolling out an all singing, all dancing content marketing strategy. I’m happy to take an advisory roll, or get my hands dirty and do the work. It’s your business – you decide. Are you ready for more traffic? Fill in the enquiry form below, let me know how I can help you with your site, and I’ll get back to you asap!